We recommend two care products for our sheepskin garments. The suede should be sprayed with a rain and stain shield made for suede or leather. The specially formulated repellents will be made with a non-silicone formula which is special for suede or sheepskin. This will protect it against water spotting and will help it resist soiling. Suede conditioner/cleaner will remove most spotting. To clean your shearling we recommend you use a mild detergent (no woolite), normal hair shampoo is ideal. Hand blot the area to be cleaned with a rag and cool water. Do not soak through to the suede. Carefully rinse and hand blot excess moisture with a towel. Let shearling air dry (out of direct sunlight) as the intense heat from hair dryers, fireplaces, or heat registers will evaporate the natural oils from the leather resulting in dry damaged leather. Brush the wool when nearly dry to fluff it up. The most important thing to remember about cleaning a sheepskin jacket or shearling vest is to try to clean the spot or stain as soon as it occurs, rather than to let it set. If you do this, you can possibly avoid a trip to the drycleaners. When a shearling garment becomes soiled overall, it should be professionally dry cleaned by someone specializing in leather and/or furs. Be sure to ask if the dry cleaner is experienced with suede and/or leather and sheepskin. If your sheepskin coat ever becomes significantly wet, be sure always that you dry the coat slowly, without placing it in direct heat. Once it dries completely, remove water spots with a suede sponge or brush. Cared for properly our shearling styles will last for years. 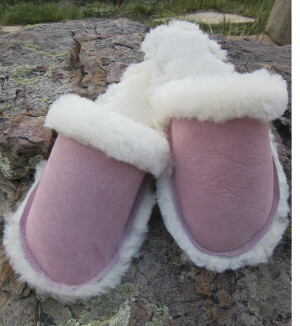 Cleaning your sheepskin slippers and boots requires the same care as any of our other sheepskin garments or outerwear. Be sure to spray them with a non-silicone water repellant to avoid water spotting. If they do get soiled, follow our directions above to remove light stains or spots. Sheepskin is a durable, natural fabric, so it will withstand the elements and this is one of the reasons why shearling slippers, sheepskin boots and ugg-style boots are so popular for winter apparel. Just received the diplomat hat and mittens. Very pleasantly satisfied with everything about them. The fit is perfect, and they look amazing. Looking forward to colder weather so I can use them, they are warm now, so keeping me warm this winter should be no problem. Thanks! !